Here is the first part of Vincent ‘da Vinci’ Ihesinulo’s story in his own words. Before diving into it, you might want to check the preamble I wrote about him, A SOCIAL CONSCIENCE WORTH APPLAUDING. It presents my interactions with Vincent over the years and the perceptions arising therefrom. You need those to lead you into the piece below. And please, share your views on that post and this as well. You are blessed! 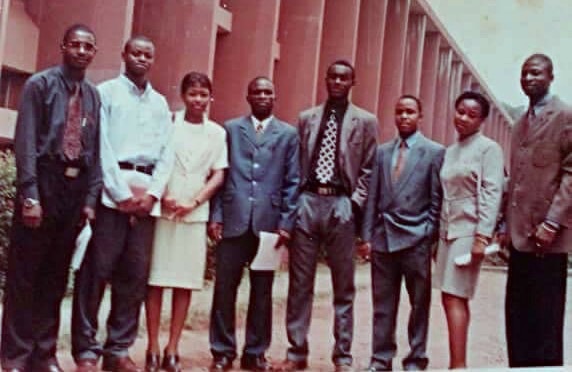 Telling this story fills me with nostalgia because my sojourn at the University of Nigeria, Nsukka (UNN) was a very hectic but exciting time during which I pursued many of my ideals, garnered invaluable experiences and made many unforgettable friends. The almost four years I waited at home before gaining admission into the university were spent ravaging everything readable in my house. And were there books! So I came into mass communication ready-made. I felt I knew enough of the theories so I was more eager for the practicals. Seeing very little – a dormant radio/TV studio and a rested in-house newspaper used only as reference – I veered into campus politics. In between the drama rehearsals, I attended auditions organised by Goldfish Productions (the showbiz guys of the day) with Black Prince (later known as Obiwon of Obim o fame) mentoring. I was to mime R. Kelly’s If I Could Turn the Hands of Time but that showbiz ambition was botched by a security incident that occurred on campus shortly after. I was a pioneer member of University of Nigeria Students’ Information Network, UNSIN, where I served as associate editor of Newscope, the association’s magazine. I always stayed back in school during vacations to work on projects meant for students’ use during school sessions. An interview I conducted with a controversial lecturer, Akionu, published in Newscope created a demand for the magazine. My involvement in this organisation saw me shuttling between the Nsukka and Enugu campuses, where I made friends that inspired me into politics. We also shuttled round the country paying courtesy calls on state governors and top politicians. These trips opened my eyes, so to speak. Then, school politics was all about aluta. But I didn’t subscribe to that brand of aluta where violence reigned supreme. If I would do politics, I reasoned with my mentors and friends, my brand of aluta was going to be ideological in nature. Nathan Oguwike, founder of UNSIN, fuelled that passion and shortly after, we launched. A friend, Austin, who shared the stage with me in The Oak Theatre, saw me one day sketching a portrait and in utter amazement called me ‘da Vinci! Man of many parts.’ The name would come in handy while I brainstormed with my crew over which catchy name to use in the campaigns. We considered that Slim, my erstwhile nickname, sounded a little thuggish. Week after week, we held the student audience spellbound as we rolled out catchy lines that hyped the da Vinci brand. ‘Have you thought of Da Vinci today?’ and ‘Behold DA VINCI, the PROfessional’ were some of the most poignant lines of those campaign days. The election in which I ran for the post of Information Officer of the Students’ Union Government (SUG) was ill-fated. But the winner who saw the substance of our campaign invited me to join his government as the editor-in-chief of the school publication. The target was to revamp The Roar magazine of the SUG. With our arms hamstrung by the presence of people appointed for political patronage and compensation in the editorial board, we managed to make a modest attempt, as professionalism and editorial autonomy were clearly lacking in the composition of the board. What this board lacked, however, a new editorial board constituted at the mass communication department had in abundance, with me in the lead as the editor-in-chief. This gave me the much-sought after hope. While we assembled materials to relaunch the department’s newspaper, The Record, a new regime took over in the department and disbanded my board. There again went another opportunity on the altar of politics. While I remobilised for a second coming in politics, I tried to strengthen my political base. At the faculty level, I was elected the PRO of the students’ association. I held the same position at my parapo* association, Federation of Ngwa Students, FNS, and the National Association of Abia State Students, NAASS. I was also the editor-in-chief of The Rotaract Club of UNN where I repackaged the club’s brochure before being elected as the Club Secretary. I was a member of Junior Chambers too but Rotaract took the better part of my social time. In addition, I was involved in the creation of Franco Radio with Henry Emele at the production level. This grew into what’s known today as Lion FM. When it was time for elections again, my name was already everywhere, so much that people thought I was going to run for president. With pressure from my parents, I quit active politics but not before negotiating for the headship of an autonomous editorial board that would be run mostly by professionals. I chose my team and we set to work. We set a high standard with the new Roar magazine that we rolled out, in terms of content and packaging. We even went further to introduce a fortnightly tabloid, Roar Extra. This changed the face of campus journalism and created a demand for news, news, and more news! Another strike prolonged our stay in school and altered the academic calendar of that period. The SUG elections could not hold leaving only those whose course duration were beyond four years to oversee union affairs. 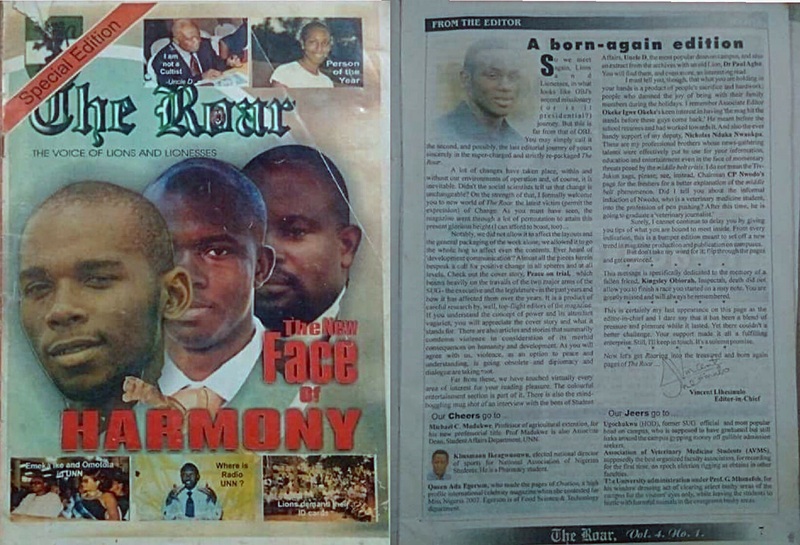 Following a personal appeal from the Information Officer, C. P. Nwodo, I stayed back with a few board members to produce yet another edition of The Roar. I juggled this job with my presidency of a UN-powered NGO, Poverty in Africa Alternative/Neighbourhood Environmental Action Team, POVINAA-NEAT club. Here, we preached cleanliness and set out special days per week for picking dirts off the streets. When graduation day came round, I had a glorious extra-curricular record. But I also felt some pain because it deprived me of a better result than the Second Class Lower degree I made. In sum, I had lived a full life and scored many enviable achievements as a student. So I gave God glory for everything! 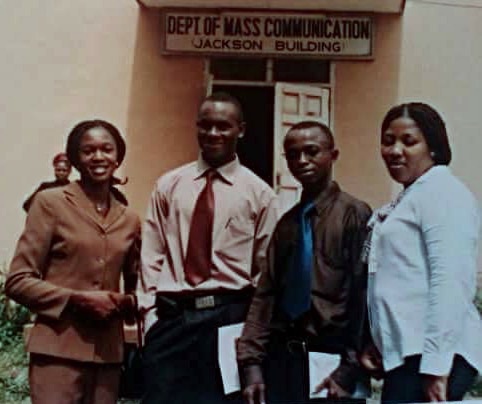 *Super-Jacksonites are graduates of the mass communication department, University of Nigeria, Nsukka. *parapo refers to people from one’s home area. It’s a Yoruba word. The conclusion of Vincent’s story titled, “MY LIFE AFTER SCHOOL” is just as exciting and it’s coming up soon. Watch out for it. Yeah, it's one of the reasons I'm celebrating him. Bless you, Ebuka! May God bless you too, Ikenna. Thanks for authenticating Vincent's story for those who didn't know him then. I did say that we need people with his mindset in politics in Nigeria. Cheers! Vincent is an ace with the pen and pencil. Nice one. I love the way he wrote the story. your years were really eventful, you serve as a role model to us that are still in the run. Even though he didn't have a good result, i really loved that the young man in question displayed a good volunteer spirit. Sometimes, the lives you touch matter more than the grades you make. thank you, sir, for an inspiring tale. Indeed he had some very eventful years at U.N.N. This story is very inspiring. The sad thing is that we can hardly find people like this in U.N.N. anymore. wow! this is really really motivating. we are the ones that limit ourselves here in UNN. Whatever we want, through determination, disciline and corresponding actions, we can get. Indeed those years were really eventful. 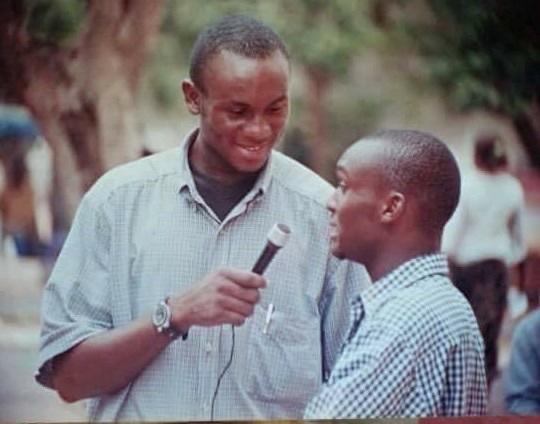 no doubt you had a picture in mind while coming into the university to study mass communication. I must say that I am intimidated with what you achieved while on campus. Nevertheless, it is an encouragement to us. Thanks so much, ma, for sharing this with us. Great one, DaVinci. You made an impact in UNN full of ambition and I will be better anyway. This is how great people are made. Nostalgia is always irresistible but the challenge of the world ahead is worth embracing. This is success in the making. Congratulation bro and thanks ma for sharing his life with us. so much zeal and passion for the course.You are really versatile sir. The rate at which youths are always in a haste to achieve things can be very amazing. His ability to combine all these skills,organisations without failing and coping is the midst of tough task. We can always do things outside what we get from lectures if we know how to priorities our needs. Combination of many things as a student can be challenging that it could either result into failure or success depending on the individual . as a student, we are always juggling to find a balance between school and other extra-curricular activities. yes, this activities are not entirely bad on their own but when we become people who cannot manage our academic outcome, then it is a problem. the story of vincent ihesinulo is one that inspires every student to keep a track record of student activeness and of course a good result at the end of the day. bravo mr. vincent. Well written and inspiring too. Vincent really made an impact in UNN. With his experience and hard work during his school days I believe, if employed to work, he will do very well even more than some first class graduates. Nice post. This is the kind of drive we clamour for in our youths today. 'da vinci' you are an inspiration. Although the GP matters but following your dreams and putting in your best in what you love doing also matters. It’s a good thing that VINCI came into this school and explored rather than hiding himself from doing the things he knows how to do. This story has taught me to always be active in school. Vincent did not just live a triangular life in school, he was active in virtually everything. This story has taught me to always aim high and not settle for less. What an inspiring story. He really had an eventful years in UNN. Nice one. His writing style is admirable, though expected from a super Jacksonite and Lion. his story tells me that UNN is not only for learning but for empowerment. Indeed Vincent Ihesinulo knows his onion in mass communication but I pray I will be better. thanks Aunty Edith for creating this blog. He was able to make such impact within 4 years of his stay in the university because he was prepared afore time. That's why we need to invest more in ourselves to get ready for opportunities and ideas to invest what we've gathered over the years. An incredible achievement. I guess this is what it means to have passion for something. I so much love this guest post by Vincent Ihesinulo by Its encouraging content. Hard work is really the key to success.I believe! Wow.. All these achievements even as a student. I'm thrilled. You really are a da Vinci.. "man of many parts". This is motivating. I hope the UNSIN is still functional till today. If not, it would be a good thing for us to spring it back to life again. Now I know that being a student doesn't stop me from making a difference in school. Wow... so many political achievements. Lol are you sure he did not miss your calling by going into Mass Communication instead of political science? This really inspiring, and he even came out witha second class. This is like a kind of motivation, to join both academics and extra-curricular activities, as its not just books one came to learn, but also other vital things. A very inspiring life story. His story invigorates the notion that invoving yourself in only the theoretical part of education is not always the best. Experience and practical know-how matter more than excellent grades. This story depicts the 'passing through the school and letting the school pass through you'. I'm motivated to be a more involved student (in a balanced manner though). Nice one, Da Vinci! I must say you came, saw and conquered. What an interesting story! I pray for God's grace for other students to impact lives like you.